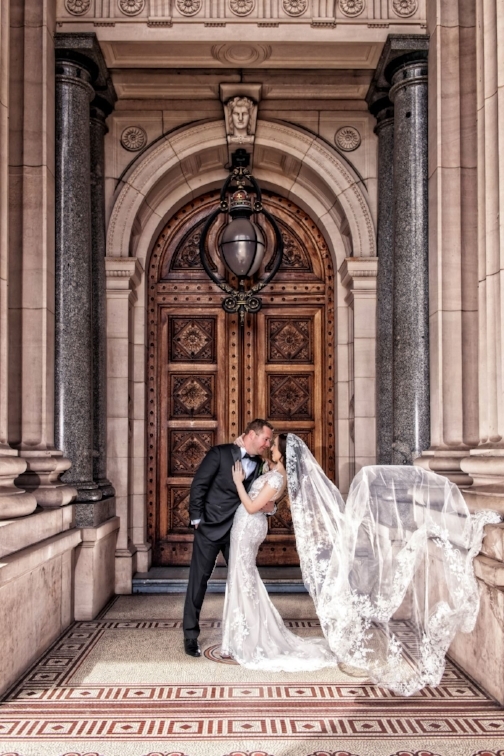 From watching her favourite designer, Zuhair Murad, on Fashion TV as a young girl; to wearing one of his beautiful gowns on her wedding day – for our real bride Deanna it was a dream come true. “I love the transparent and ‘tattoo lace’ looks which are popular right now, but was amazed at how intricately detailed his gowns were when I finally saw them in real life,” says Deanna, who initially visited a few bridal stores in Melbourne before coming to the Helen Rodrigues boutique in Sydney. “I had never seen so many so many designer gowns in one place and wished I had gone there first!” she says. Deanna found her experience at Helen Rodrigues very different to other larger boutiques where there were multiple appointments at the same time and other brides looking at her. 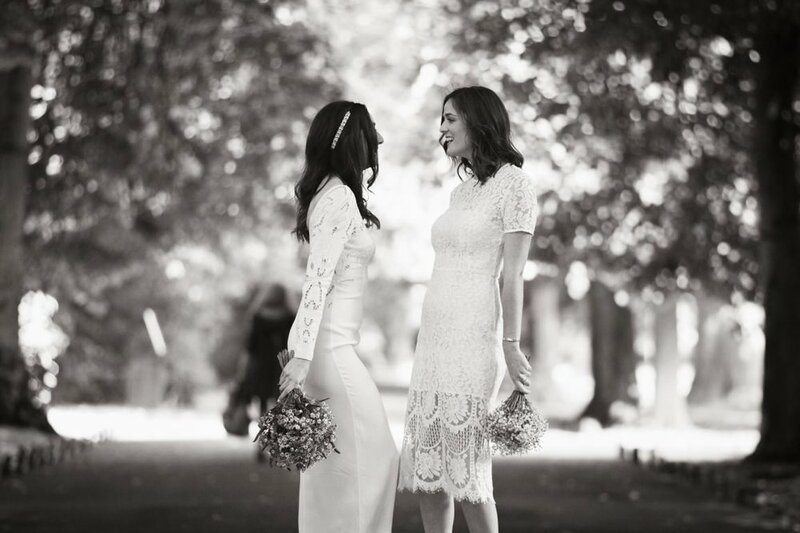 Helen Rodrigues only offers exclusive appointments and therefore she was the only bride in the boutique, so felt extremely comfortable and well looked after with the undivided attention of the staff. “My mum was unable to accompany me dress shopping so I really appreciated Helen's guidance and trusted her as she is clearly experienced and excellent at what she does!” says Deanna. She knew she had found ‘the one’ when she tried it on and felt beautiful, confident and could visualise herself wearing it on her wedding day. Interestingly however, her gown was not the style she had originally set out to buy. For Irish-born Sophie, not having her mum here in Australia to join her on her bridal gown journey meant she was incredibly grateful for the family-like support given by Helen and her team in selecting, styling and fitting her dream wedding dress. From the moment she first walked into the boutique she felt very supported and spoilt. After feeling very excited and in awe of all the gorgeous gowns available she ended up choosing a gorgeous dress from iconic Middle Eastern designer, Zuhair Murad. It was the styling advice from Helen and her team however that Sophie found particularly thorough and helpful. 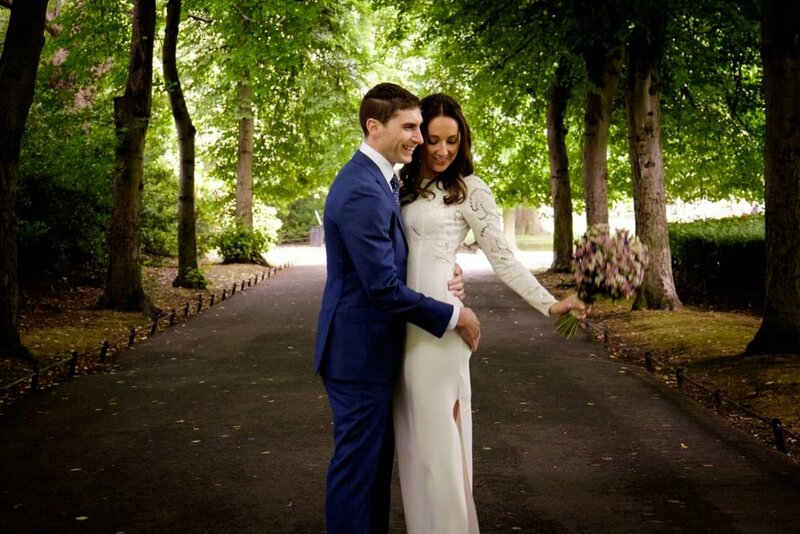 According to Sophie her favourite memories from her wedding day were celebrating her marriage to Arie with family and their closest friends....and of course wearing her fabulous gown! Her advice for other brides-to-be? All photography by Rory O’Toole.